Call centres are about the people first; the technology is simply the enabler that helps provide the best customer experience, says Jed Hewson, co-founder of 1Stream. 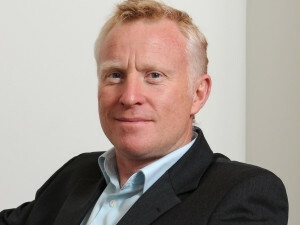 Jed Hewson is a Co-founder and joint CEO of 1Stream. It's easy for businesses to get sucked into the technology available and the features it offers, forgetting that managing the people who are using the features is what is going to show a positive return on the investment in the technology itself. The old adage, communication is key, is just as relevant in the business world as it is in other contexts. And when it comes to large enterprises, different departments with differing objectives often result in disparate systems and cumbersome processes. Contact centres can be caught at the heart of this. Not only does this increase the complexity of operations, but it can reduce the ability to monitor and manage people and resources to the best effect. By ensuring all stakeholders are in the loop and aware of each other's requirements, implementing an effective system for a contact centre becomes simple with cloud-based solutions. It's about understanding and compiling all the requirements. Once this information is at hand, a single system can be identified that incorporates all the requirements and meets the needs of the contact centre and the business. Of course, things evolve, which necessitates adding new processes and updating systems. In the context of a call centre, this typically means including new media channels through which people can engage. By doing so and the integration required, complications can be easily introduced into a contact centre operation. If left unmonitored, this can snowball over time, resulting in channels and processes that are all but impossible to report on and manage. Regardless of the steps taken to achieve the desired outcome, quality and integrity within a contact centre are key, and it's vital to ensure these are managed effectively, and this is where the true benefits of technology can be seen in a call centre. Jed Hewson is a co-founder and joint CEO of 1Stream, a leading provider of cloud-based contact centre technology in South Africa. Hewson helped pioneer the voicemail and unified messaging industry in South Africa and was part of the Dimension Data team that built SA's first cloud-based call centre solution. 1Stream is a provider of cloud-based contact centre technology, with a simple philosophy: it focuses on delivering best-of-breed technology, backed up by great support from a technical team that understands what is needed to operate world-class call centres. 1Stream prides itself on building strong partnerships and offering ongoing user training and 24/7 support. Its award-winning platform serves customers of all sizes, providing pay-per-use access to world-class technology that is rapidly scalable and available on demand. Its team has extensive experience across a multitude of markets and combines its expertise with this experience to address the needs of its clients, no matter who they are or what their situation may be. For more information, visit www.1stream.co.za.